(Photo courtesy of SLC Eatery) The new SLC Eatery is located at 1017 S. Main in Salt Lake City (Photo courtesy of SLC Eatery) Tamolitos with pumpkin mole and Mexican crema at SLC Eatery. (Photo courtesy of SLC Eatery) Utah scone with smoked cheddar rillette at SLC Eatery. (Photo courtesy of SLC Eatery) Smoked bavette with creamy grits, brussel sprouts and a black garlic tamarind jus at SLC Eater... (Courtesy photo of SLC Eatery) The interior of SLC Eatery at 1017 S. Main. guests select small plates at the new SLC Eatery. I (Courtesy photo of SLC Eatery) Guests guests select small plates from a tiered metal cart at the new SLC Eatery. (Photo courtesy of SLC Eatery) The new SLC Eatery is located at 1017 S. Main in Salt Lake City (Photo courtesy of SLC Eatery) Tamolitos with pumpkin mole and Mexican crema at SLC Eatery. (Photo courtesy of SLC Eatery) Utah scone with smoked cheddar rillette at SLC Eatery. (Photo courtesy of SLC Eatery) Smoked bavette with creamy grits, brussel sprouts and a black garlic tamarind jus at SLC Eatery. 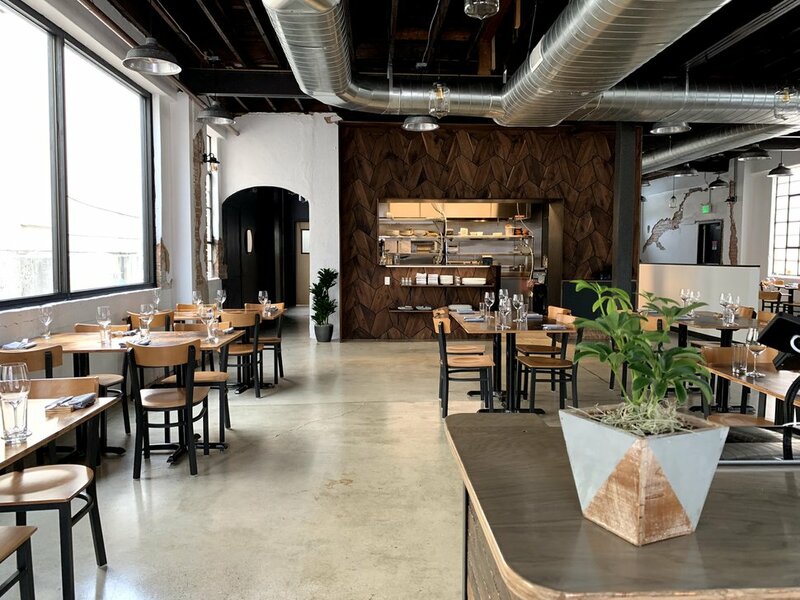 (Courtesy photo of SLC Eatery) The interior of SLC Eatery at 1017 S. Main. guests select small plates at the new SLC Eatery. I (Courtesy photo of SLC Eatery) Guests guests select small plates from a tiered metal cart at the new SLC Eatery. A tiered metal cart — filled with plates of appetizer-size morsels — is pushed from table to table, allowing diners to pick what they want to eat. That’s how service is handled in traditional dim sum parlors, and it is how guests select small plates at the new SLC Eatery. It recently opened in a remodeled building — once a rock shop — at 1017 S. Main, Salt Lake City. 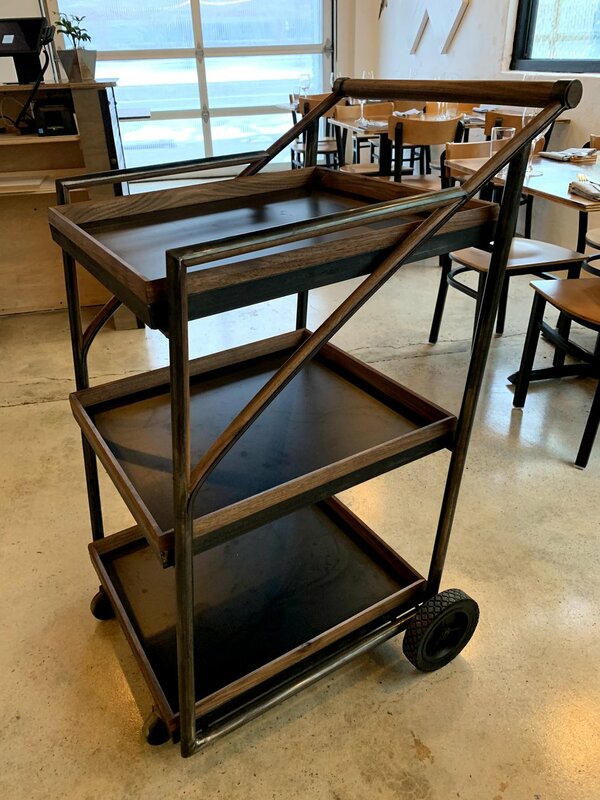 (Photo courtesy of SLC Eatery) Guests select small plates from a tiered metal cart at the new SLC Eatery. “We’re hoping people get excited about the cart,” said executive chef Logen Crew. “It’s something completely different for Salt Lake City." Crew and restaurant owner Paul Chamberlain have worked together for nearly 15 years in the Salt Lake City kitchens of Fresco Italian restaurant, Trio, Stanza and, most recently, Current Fish and Oyster. Before breaking out on their own, the two visited restaurants around the country that have integrated the trolley cart into their service. They made a point of visiting the award-winning State Bird Provisions, a San Francisco restaurant that was one of the first to give “fine dining the dim sum treatment,” according to The New York Times. In 2013, State Bird was named the country’s best new restaurant by the James Beard Foundation — the Oscars of the culinary world. 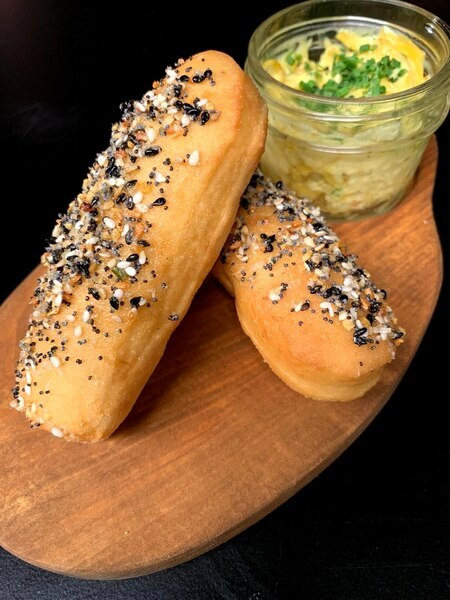 (Photo courtesy for SLC Eatery) Guests select small plates at the new SLC Eatery. On a recent night, plates of shrimp ceviche with hominy, avocado and grapefruit were on the cart along with ponzu-infused broccoli with almonds and napa cabbage. These two- to three-bite items cost $3 to $10 each. Crew said he’s starting out with a handful of small plates but will increase the offerings over the next few weeks. Selecting items from the cart is just one way to enjoy the food at SLC Eatery. The restaurant also has a regular menu with entrées, including fresh noodles with lamb shoulder, mini cotija cheese tamales — called tamalitos — and a hamburger with hasselback potato fries. Entrées cost $14 to $32. Crew said the regular menu and the cart offerings will include globally inspired flavors of Latin America, the Mediterranean and, of course, Asia. Right now, the restaurant is serving only dinner, but quick-serve lunch is expected soon. SLC Eatery • 1017 S. Main, Salt Lake City; (801) 355-7952 or slceatery.com. Open Tuesday through Sunday from 5 to 10 p.m. Lunch service expected soon. (Photo courtesy of SLC Eatery) Tamalitos with pumpkin mole and Mexican crema at SLC Eatery.